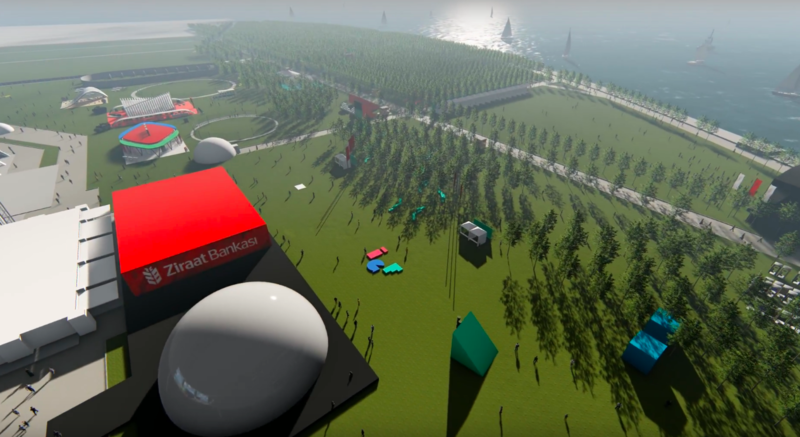 The Livecom – a progressive event marketing company, that offers unique experiences for brands, turned to Polidomes with the need of 3 different domes to perform the digital exhibition galleries. 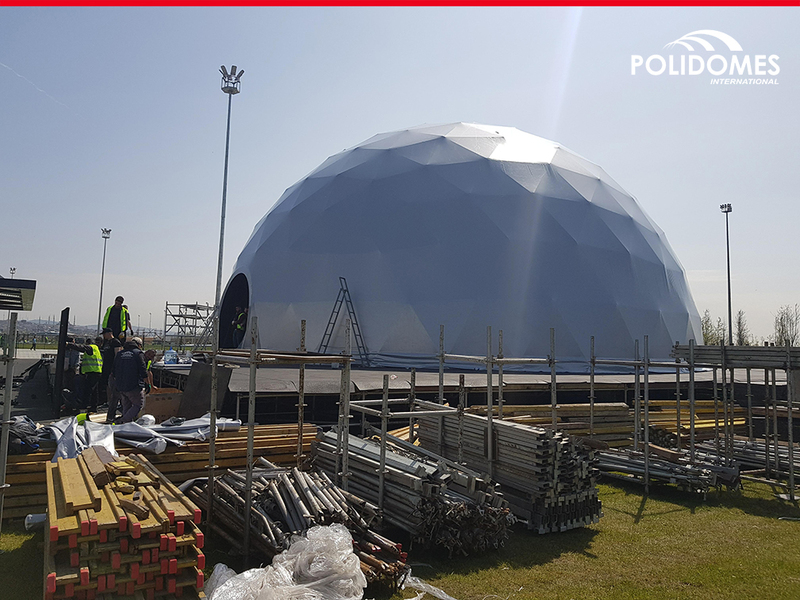 According to a marketing company’s plan, we created outstanding customised event domes P300, P150 and P50. 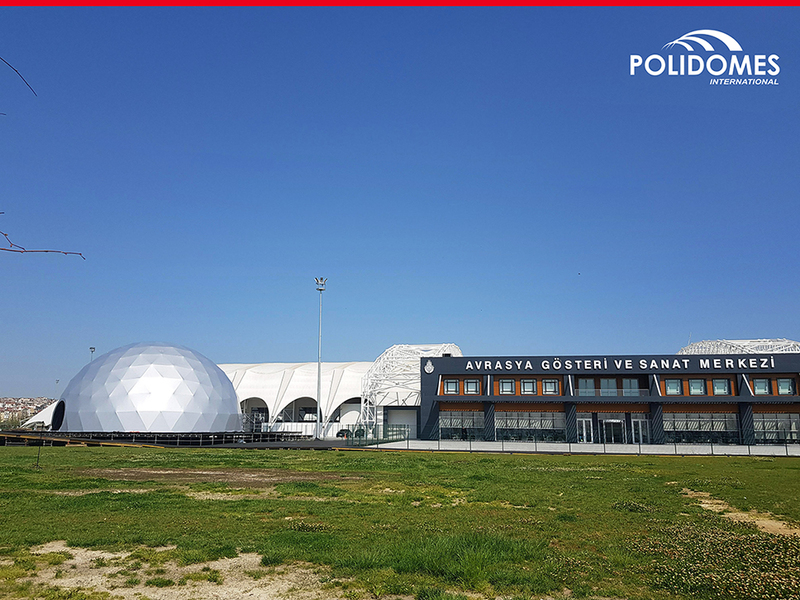 The biggest tent, that can easily host 450 people, had a silver coloured cover. The rest two event tents stayed with the white cover. 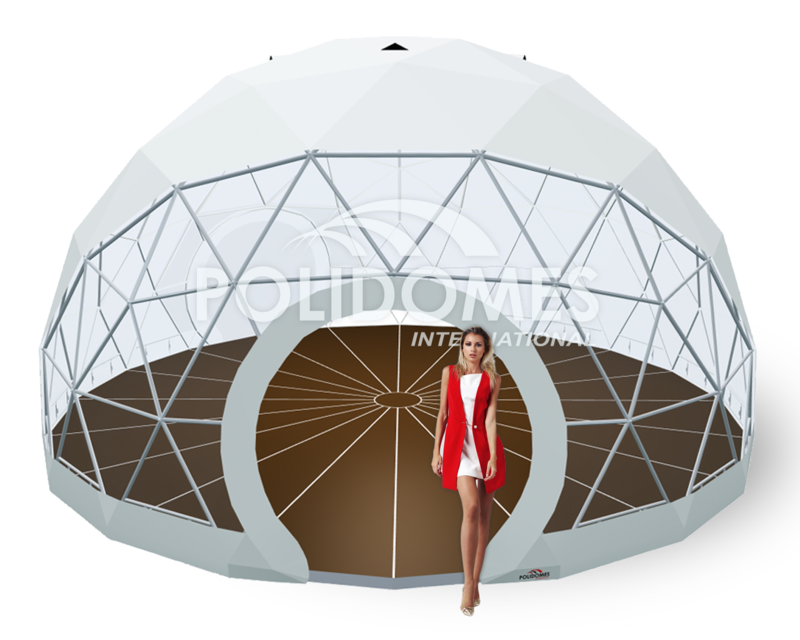 But each of the dome tent was enveloped from inside with the special projection liner, created using the know-how, that allows on the best quality immersive projections. 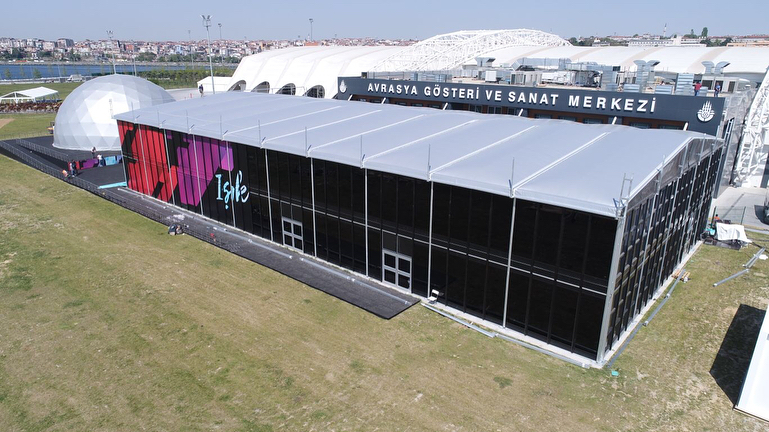 The biggest Istanbul Youth Festival of Turkey was planned and organized from scratch by Livecom Event & Experiential leading marketing company. 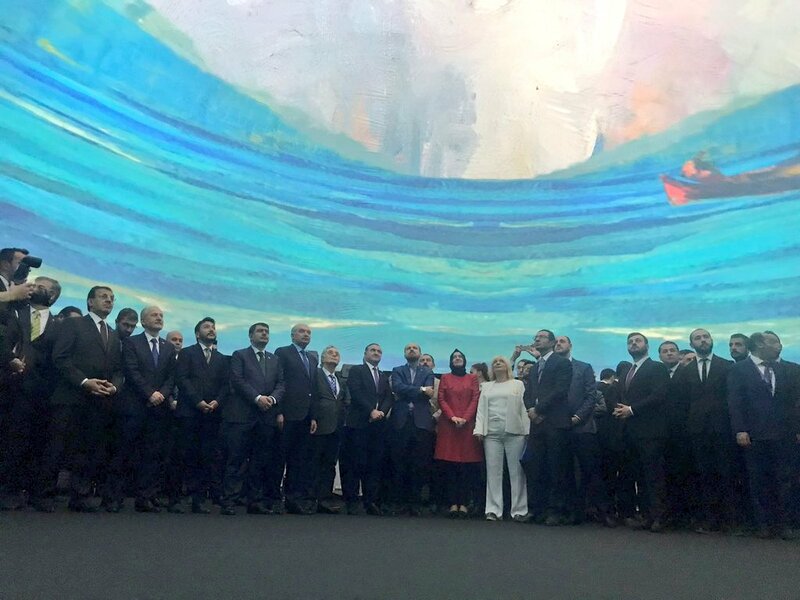 It hosted more than 1 million young people for 5 days and took place in many different areas. 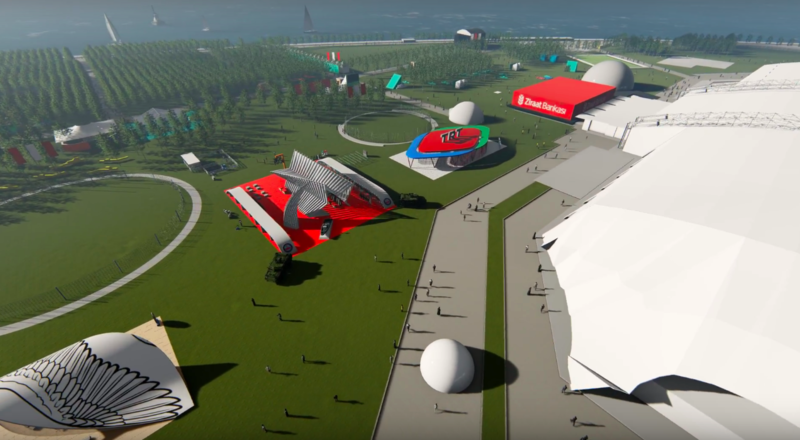 IGF brought together fun concerts, technological innovations, culture and art events, inspiring interviews, social responsibility projects, sports and e-sports tournaments in an open and closed area of 50,000 m2 and 9,000 m2. 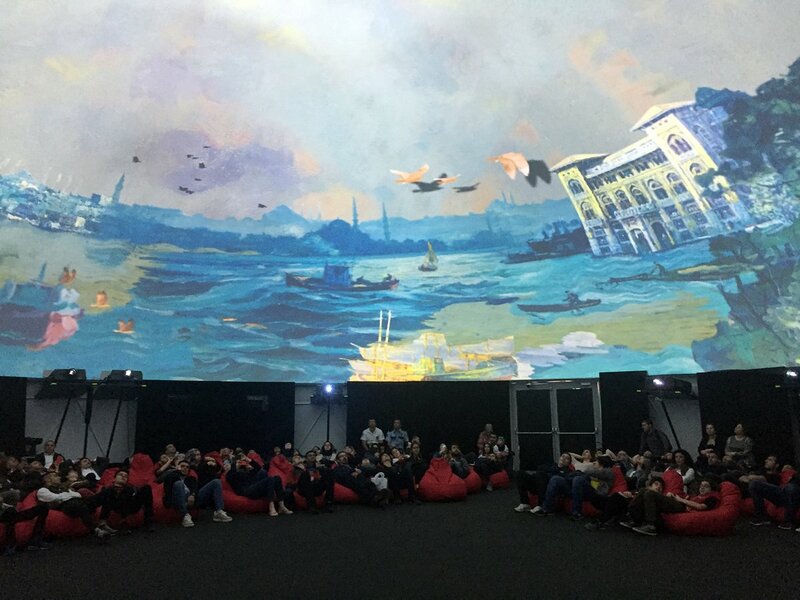 At the Istanbul Youth Festival, inside the biggest “Ziraat domes” (that is how the tent was named by the user), which had 20 meters wide, the “light and color” digital exhibition took place, which was created using state-of-the-art technology. 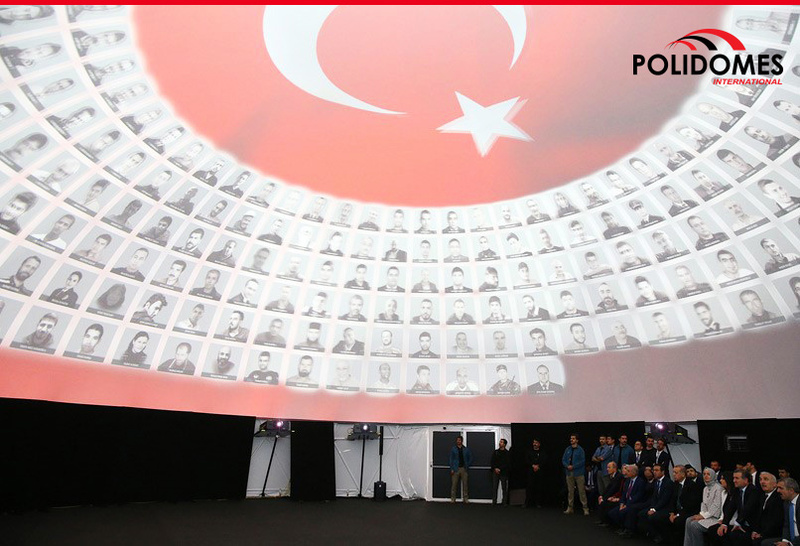 The silver Polidome 300 with 360 degree projection screen caused great interest in the public and was visited by the President Erdogan with his delegates. 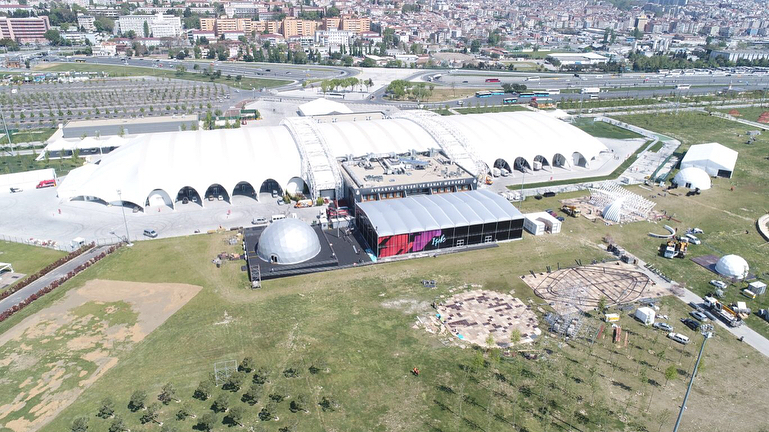 In his speech at the Istanbul Youth Festival, President Erdogan said he was very excited and stated that the festival area was well prepared. High professional team of our exclusive partner Livecom company made a terrific scope of work, bringing together young people and Turkey’s most popular brands, NGOs, public institutions, cultural art events, robotics workshops, sports activities, interviews and concert events on the biggest Youth Festival of Turkey. It was aimed at youth to gain vision with new experiences, to accumulate memories and to have a lot of enjoyable time. 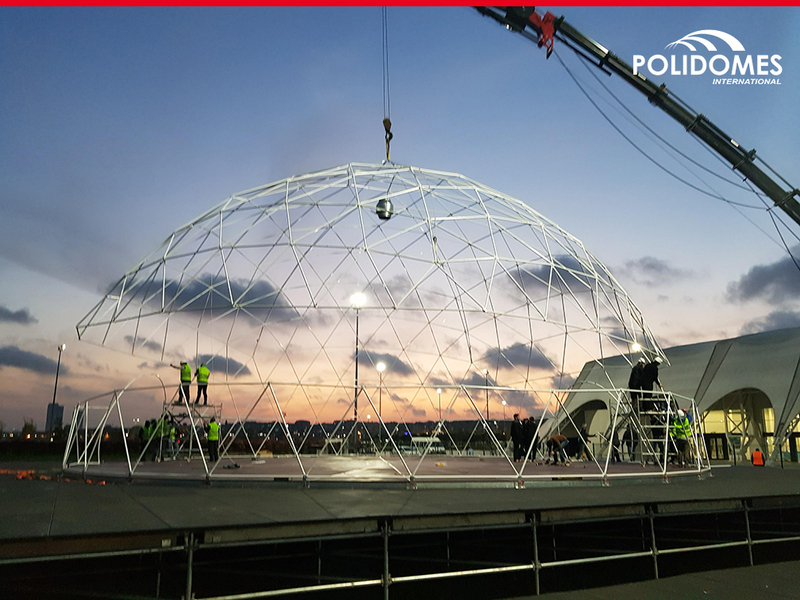 Watch the projection dome in action in this fascinating video from the event created by Livecom marketing company. 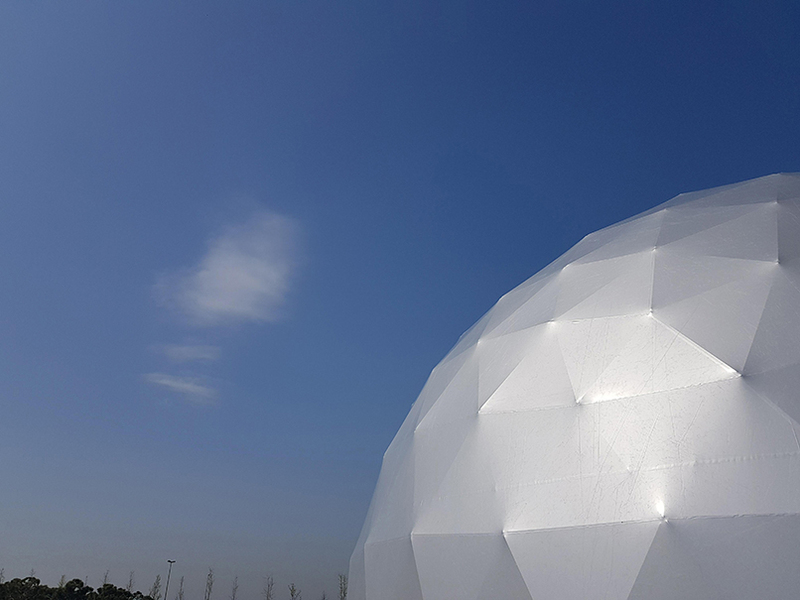 Geodesic domes are the perfect solution for mass festivals, serving as mobile exhibition pavilions with an option to upgrade for the spectacular immersive 360 degree projections. 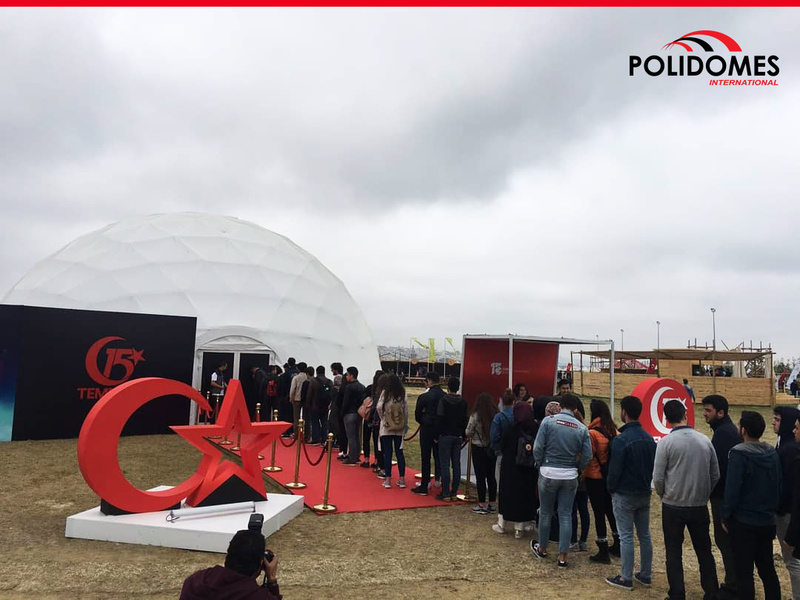 Thanks to their external attractiveness and internal functionality, our event tents can play host to any size of event, from mass festivals to all manner of local holidays and events.